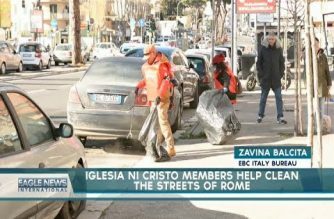 (Eagle News) – Iglesia Ni Cristo Executive Minister Bro. Eduardo V. Manalo thanked all the guests of different nationalities who were invited to the Church’s first-ever simultaneous worldwide mission on Saturday, Sept. 26, as he stressed the importance of having an open and curious mind to find out the truth written in the Bible. “Maraming salamat sa pagbibigay ng ganitong pagkakataon sa amin na kami ay makapaglingkod sa inyo. (Thank you very much for giving us the opportunity to serve you),” said Bro. 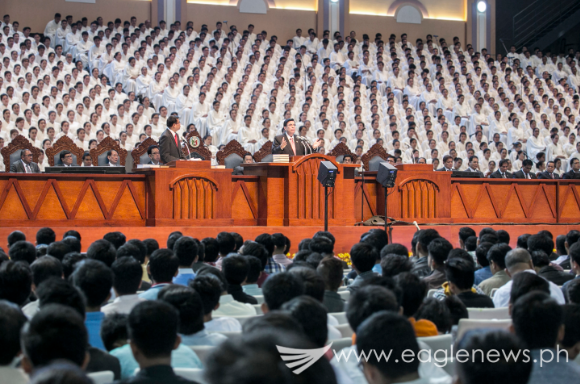 Eduardo at the start of his preaching as he addressed a worldwide audience of guests –not just in the Philippines, but from other countries as well – who had been reached through more than 2,000 remote sites set up across the globe. “Salamat din sa mga kapatid na tumutugon sa ganitong gawain upang tayong lahat ay makatulong sa pagpapalaganap ng mga salita ng Diyos. Sumasampalataya kami na ito’y hindi mawawalan ng kabuluhan. (Thank you too to our brethren who responded to this activity so all of us could help in the propagation of God’s Words. We faithfully believe that this will not be in vain),” he said. The INC leader used the Philippine’s national language in his officiation of the largest and most extensive evangelical mission in the INC’s history. This was simultaneously translated into the various different languages in the 2,125 sites around the world as the INC embarked on an even more intensive campaign to offer God’s message of salvation as written in the Bible to as many people as possible on its 101st year. At the center was Ciudad de Victoria’s Philippine Arena where Bro. Eduardo officiated the activity dubbed as “Dakilang Pamamahayag ng mga Salita ng Diyos” (Most Extensive Proclamation of God’s words), which was basically a Bible exposition that centered on the message of salvation as written in the Bible. Through video web link, Bro. Eduardo’s preaching was heard and seen all around the world. 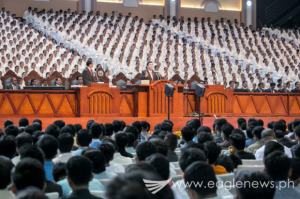 The 2,125 sites of the video conferencing reported how hundreds of thousands of guests from the Philippines, to the countries in Europe, North America, Middle East, Southeast Asia, East Asia, Africa, Australia and the Pacific Islands had been reached. 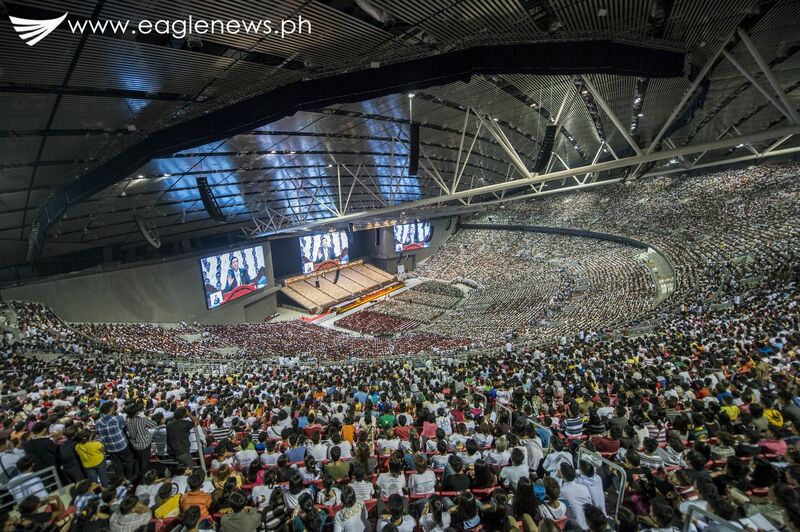 At the Philippine Arena alone in Bocaue, Bulacan, about a hundred thousand attended the event. 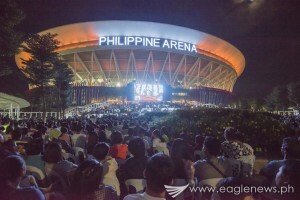 In the Philippines, the remote sites where the live video feed from the 55,000-seater Philippine Arena was shown were in the various INC buildings of worship in Metro Manila, and in other large venues from Luzon to Mindanao. “Sa pagsusuri sa kalooban ng ating Panginoong Diyos, hindi kami magbibigay ng opinyon. Kundi babasahin lang namin kung ano ang katotohanan na nakasulat sa Biblia (In studying God’s will, we will not give any opinion. We would merely read what is written in the Bible),” Bro. 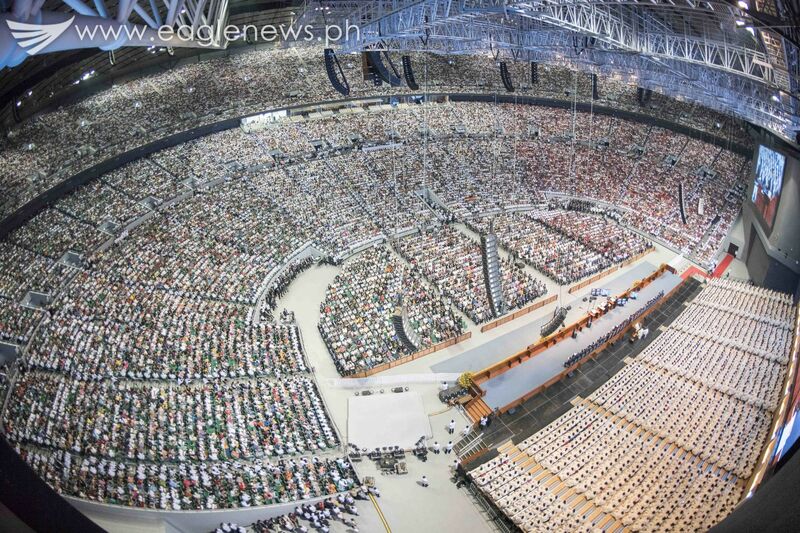 Eduardo said at the start of the evangelical mission that started earlier than 7 p.m., at the Philippine Arena. “Kapag ang pag-uusapan ay paglilingkod sa Diyos, hindi ba tama lamang na kung ano ang gusto ng Diyos ang dapat sundin? (If we talk about serving God, isn’t it right that we follow what God wants? )” the INC leader asked. The activity started a few minutes earlier as the Philippine Arena, the Philippine Sports Stadium, and the rest of the Ciudad de Victoria was filled with people. Giant screens were also placed inside and outside the Arena. Before the actual preaching, people inside the Arena, and in all the other remote sites, prayed to God for the success of the event. 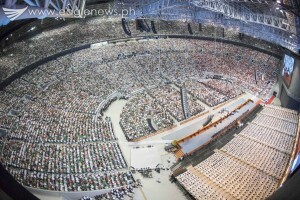 It was then followed by choir singing by some 1,600 choir members who wore white robes inside the Philippine Arena. Bro. Eduardo repeatedly stressed that he is just reading the verses in the Bible pertaining to salvation. He said it was important for everybody to have an open mind, and to study the truth as written in the Bible, because only those who follow God’s will, will be saved. He encouraged all the guests who attended the Bible exposition to continue searching for the truth, and to study God’s words by attending the INC’s worship services and doctrinal lessons. At one point during his preaching, Bro. Eduardo said he would want to take opportunity of the event to address those making false accusations against the INC that were being circulated in media and in the social media as well. “Kung totoo ang sinasabi nila, hindi sana nangyayari ngayon ang kasalukuyang aktibidad na ito. Ito’y katunayan na kasama natin ang Diyos. (If what they are saying is true, then this event would not be happening today. 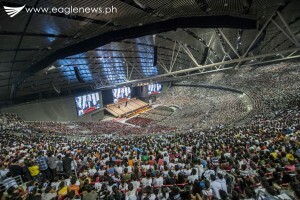 This is proof that we have God on our side),” the INC Executive Minister said. He then explained that it is the words of God as written in the Bible which every man should believe in, and that what the Bible says is that members of the Church of Christ or Iglesia Ni Cristo are those who will be saved. “Hindi ako ang nagsasabi nito. Binasa ko lang ito sa Biblia. (It is not I who says this, but I just read this from the Bible),” Bro. Eduardo said after reading a series of biblical verses. 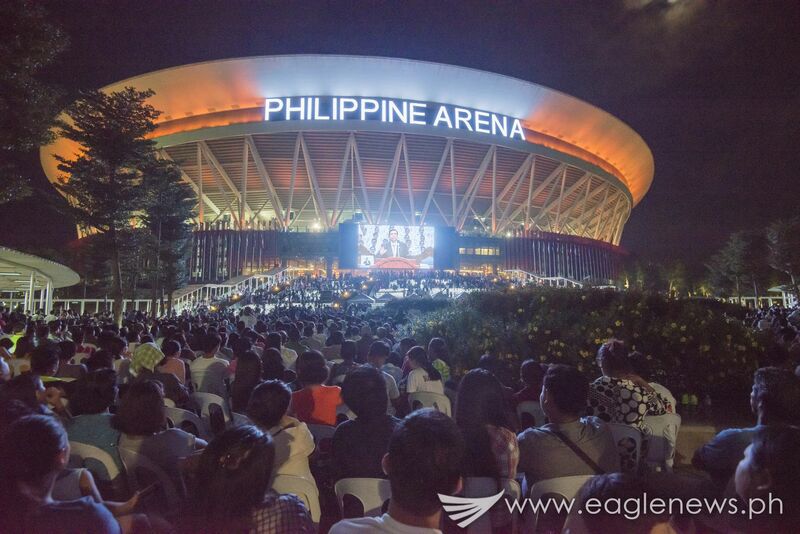 The Iglesia Ni Cristo declared the event a success as all the 2,000 remote sites around the world reported the attendance of thousands of guests; everything also went smoothly as there was no technical difficulty that happened. In worship services the following day, Sunday, Sept. 27, the INC brethren thanked God for the successful holding of the first-ever worldwide evangelical mission of such magnitude. “It was successful because we were able to reach the sites that we had planned to reach via the technology we have chosen for this. 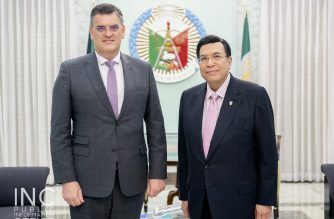 We have heard from many guests that they would like to know more about the Iglesia Ni Cristo and its biblical doctrines,” explained INC spokesperson minister Edwil Zabala. “This is just the fulfillment of God’s promise to His Church,” he said. 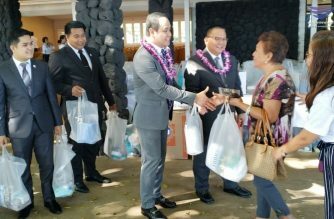 INC General Auditor minister Glicerio Santos Jr., said that this is just the start of even more intensive and extensive worldwide evangelical missions. The INC, since it was registered in the Philippines in 1914, had held large gatherings for Bible expositions in the Philippines, and later in the other countries as well. From the Bible expositions during the time of the first Executive Minister, Bro. Felix Y. Manalo, the grand evangelical missions during the time of the second Executive Minister, Bro. Eraño G. Manalo, to the large victorious evangelical missions during the time of the present Executive Minister Eduardo Manalo, the INC had held bible expositions in large gatherings, citing as basis the biblical verses in Psalms 40:9-10. More recently, such evangelical missions under the project “Kabayan Ko, Kapatid Ko” or “My Countrymen, My Brethren” — which was launched in April 2013 — have reached millions in the Philippines, and around the world. 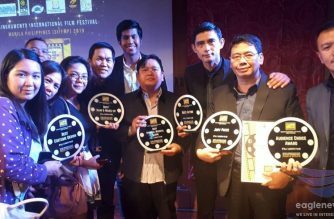 More recently, the INC had also embarked on online evangelical missions that reached more people around the world through live streaming, the internet, and the various media platforms of the INC.